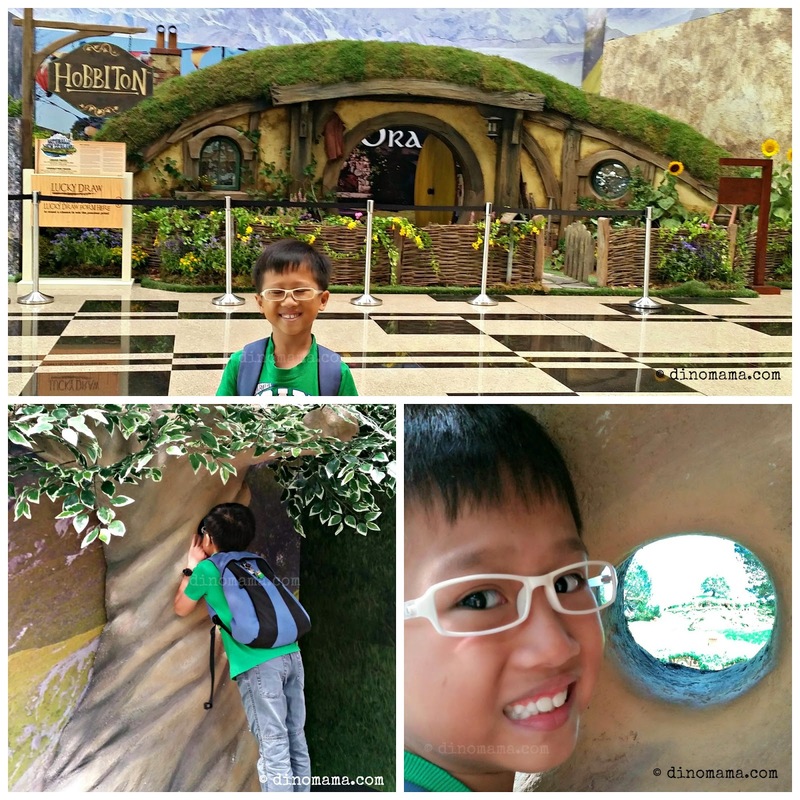 A few weeks ago, we were invited to Changi Airport to take an epic trip to Middle Earth but was unable to share our experience earlier as we joined the rest in the National Mourning for the lost of our founding father of modern Singapore Mr Lee Kuan Yew (1923 - 2015). We thought we would disappoint our readers when we shared our post now whenr the event has ended on 5th April 2015 but lo and behold! It's extended till 19 April 2015! The Naturally New Zealand exhibition features two facets of exhilarating New Zealand - Middle-earth and the modern New Zealand. 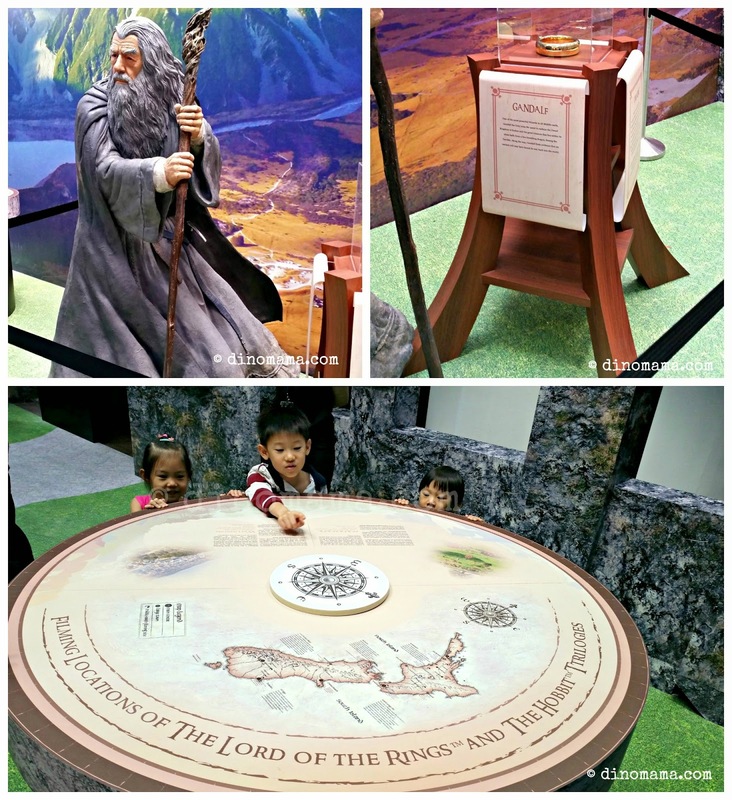 Fans of The Lord of the Rings and The Hobbit Trilogies can explore the Hobbit Holte, meet Gandalf the Grey as he stands guard over The One Ring and learn about the various scenic terrains that make up The Shire, Erebor and Bobbiton Woods. Having created the first Hobbit Hole in London specifically for the world premiere of the final film in The Hobbit Trilogies in December 2014, the one you see here is the second authentic version out of Matamata. Click here to watch how the Hobbit Hole was built in 10 days, featuring more than 40 types of plants & real props from the Hobbiton! On the other side you can enjoy snippet of modern New Zealand where popular sports such as rugby, golf and cycling are featured. We had a great time hitting some golf balls at the mini golf range. There are some stuffs we did there too but did not manage to take a photo because we were just too busy exploring! 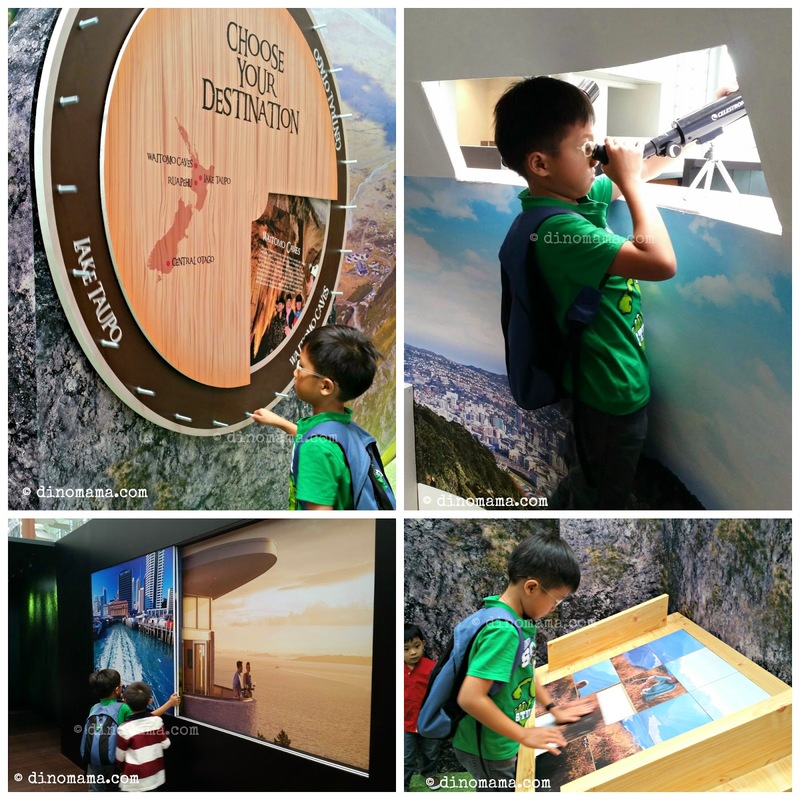 Be sure to head down to Changi Airport, level 2 of Terminal 3 to explore a little bit of New Zealand and redeem exclusive souvenirs. I'm sure you will be thrilled that the year 2015 is significant for New Zealand and Singapore as the two nations commemorate 50 years of diplomatic relations and the return of Air New Zealand to the direct route. 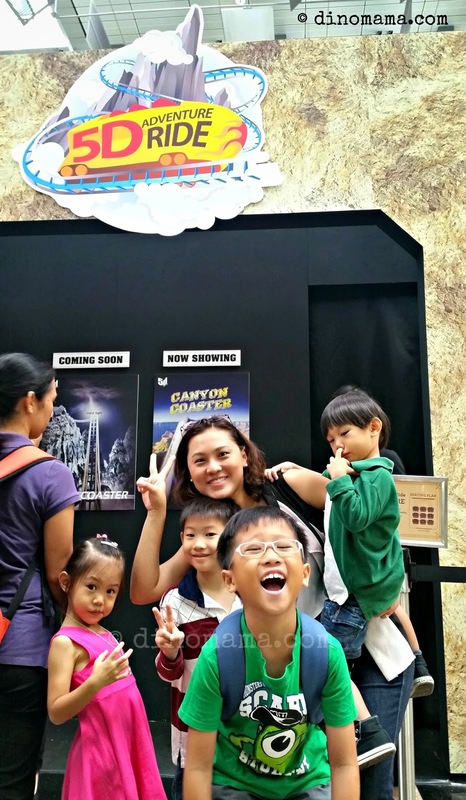 So, check out the exciting travel offers at the travel booths there and plan for your next holiday with the family! 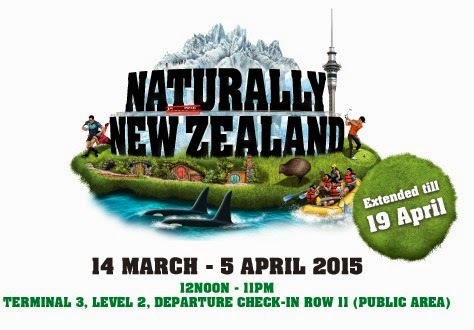 Here are some of the more exciting things you have to do when you are at the Naturally New Zealand exhibition. Take an exhilarating ride on a 5D simulator. This holiday special is available during March school holidays, subsequent weekends and public holiday during the event period. * Present a single same-day receipt with a minimum spend of S$40 (S$80 for supermarkets) from any Changi Airport Shop or Dine outlet to redeem one (1) activity pass. * Redemption starts from 12pm and ends at 10.30pm or when the activity passes are fully redeemed; whichever is earlier. * Each 5D simulator ride pass admits up to two (2) persons for a single ride session. * Limited activity passes are redeemable on a first- come, first-served basis. * The Ride schedule is allocated based on earliest available time slot, limited to a maximum capacity of 8 participants. * Participants of the 5D simulator ride must be above 1.05m in height and at least 4 years old. * All participants must sign an indemnity form before participating in the activity. Participants under the age of 18 will require their parent's/guardian's signature on the indemnity form. Answer a simple question regarding New Zealand on the contest form and stand a chance to win an all-expenses-paid 8D7N trip for 4 to New Zealand on Air New Zealand! *trip covers economy class return air tickets departing from Singapore, hotel accommodation and land tours. Consolation Prizes: Includes travel vouchers, land tours within New Zealand and more! * Present a single same-day receipt with a minimum spend of S$10 (or S$20 for supermarkets) from any Changi Airport Shop or Dine outlet to redeem one (1) contest form in the exhibition guide. * For Changi Rewards members, present any valid same-day single receipt with no minimum spend. * Limited to one (1) contest form per qualifying receipt, regardless of spending amount. * Participant must be 18 years old and above as at 14 March 2015. * Redemption of exhibition souvenir is subjected to the completion of the question (correct answers only) found in the Exhibition Guide. For the rugby fans, especially the All Blacks die hard fans, visit the All Blacks section at and stand a chance to win an exclusive Rugby Ball autographed by the All Blacks. 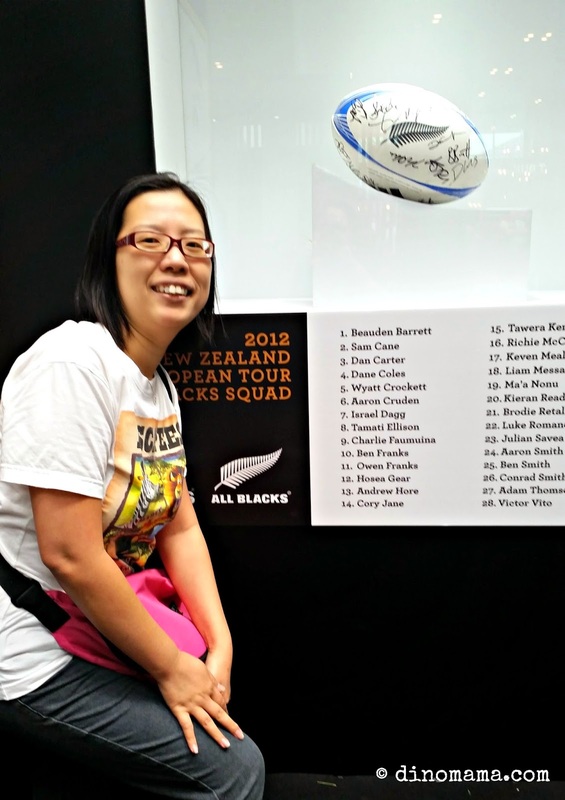 Step 1: Take a picture with the autographed ball and show us how big of an All Blacks fan you are. We are looking for the wackiest and most creative photos and you may just be the lucky winner to walk away with an exclusive All Blacks rugby ball! Contest ends 19 April 2015. Winner will be selected by the Changi Airport social media team and notified by 30 April 2015. 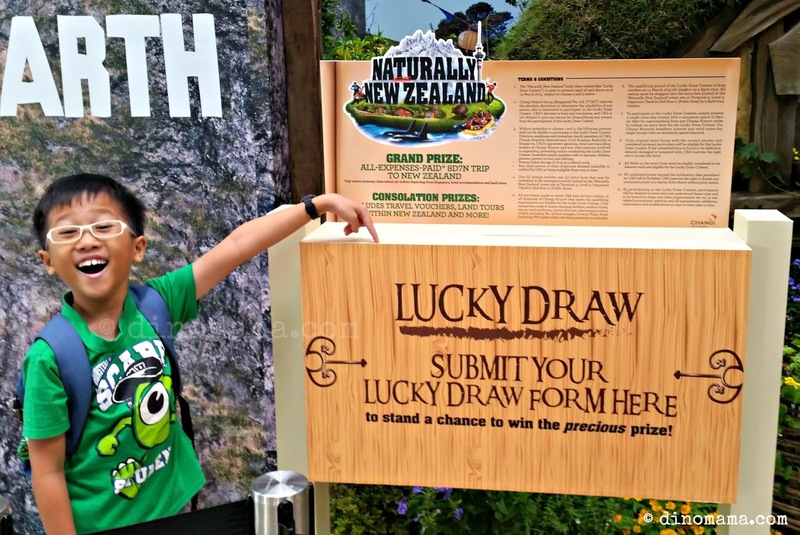 Disclaimer : We were invited by Changi Airport for the opening of the Naturally New Zealand exhibition. No other form of compensation was received. All opinions are 100% ours and unless otherwise stated on the photos, the DinoFamily reserves the copyright of all the photos in this post.